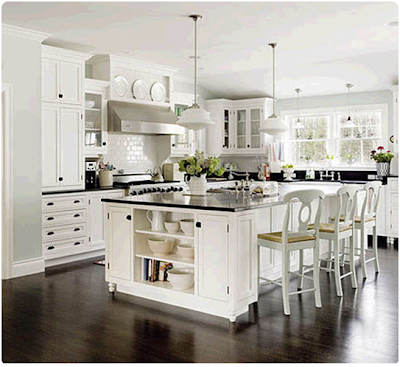 Just another collection of beautiful kitchens. Love that this one has two dishwashers!! Perfect for a busy kitchen! It's so light, bright, and airy. 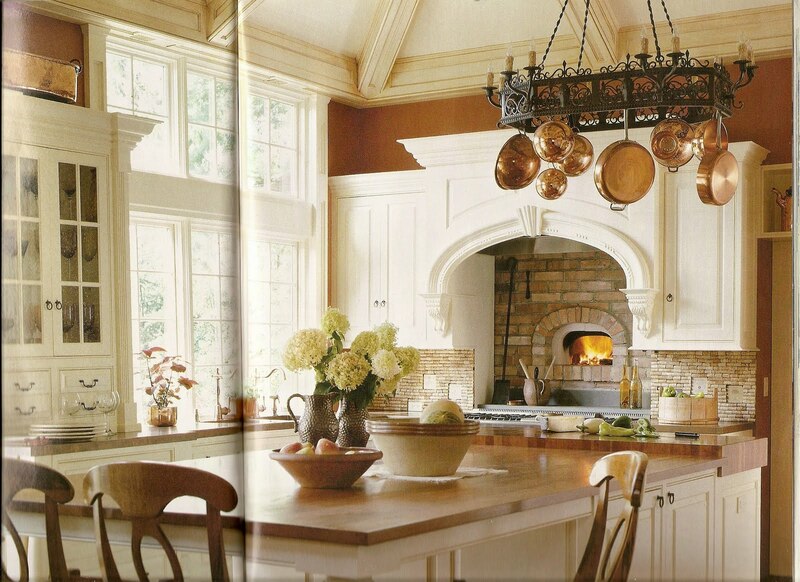 This is definitely one of my most favorite kitchens of all time. Love the copper countertops, and the wood island. I also love those copper pots!! And the pizza oven is awesome. It's the perfect mix between old world/tuscan style and modern style. I really like the green in this kitchen. So fresh! This one just looks homey. I'm a big fan of islands in a different color, it adds a lot of character. 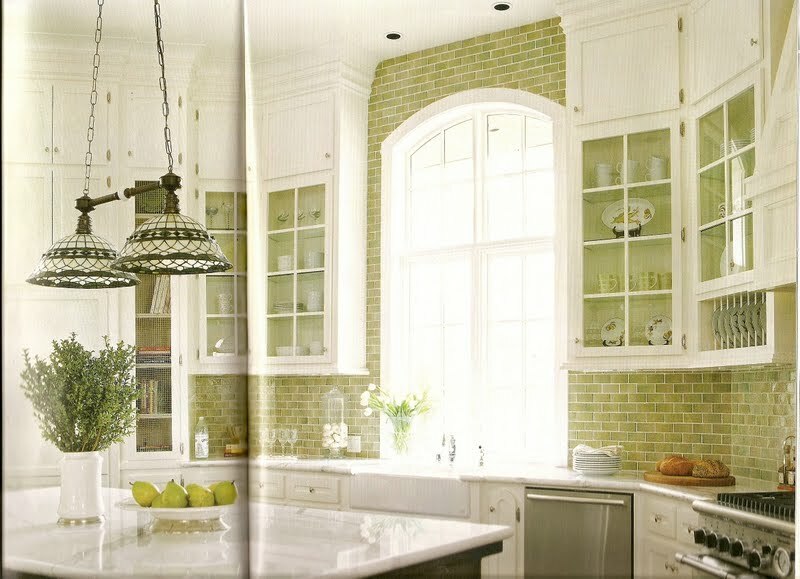 I also love the huge window in this kitchen. 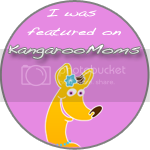 This one just seems so family-oriented! I love the huge island!! 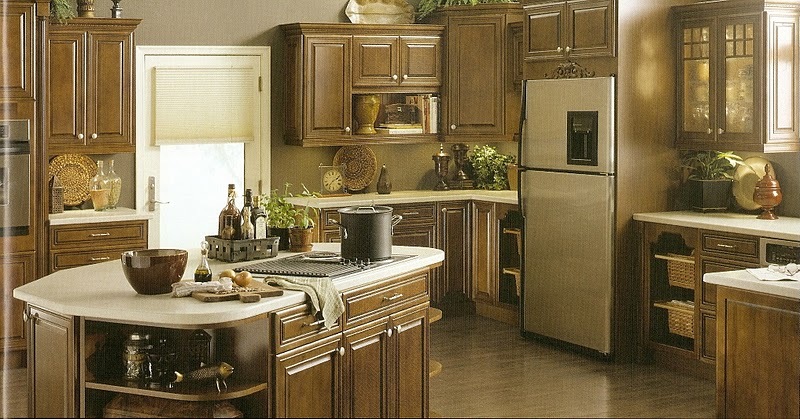 This kitchen is just huge, and I always love a kitchen that opens up in some way to the family room. Love the dark countertops with the white cabinets, too! This one just seems like the perfect summer kitchen to me! 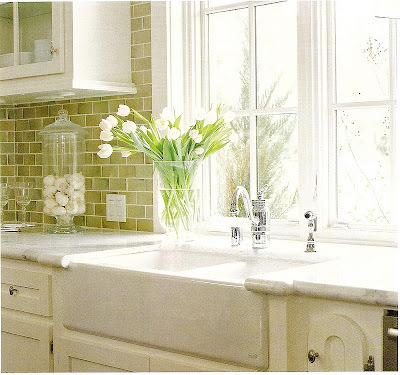 I love the huge farmhouse sink, and the pretty white cabinets and countertops just feel so cool. But, I love how the dark wood floors ground everything. 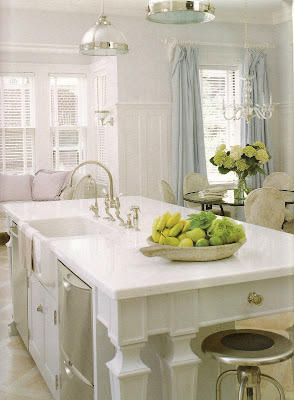 LOVE this kitchen!! I love that hunge island/bar. 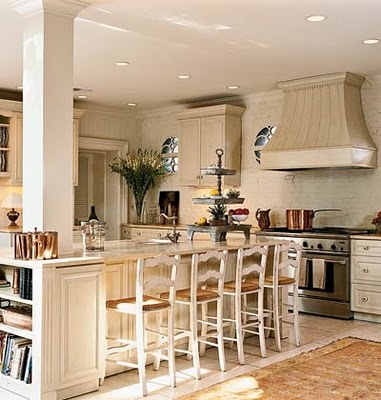 I think it's very clever of them to use the end of the island as a bookshelf - perfect spot for all those cookbooks. 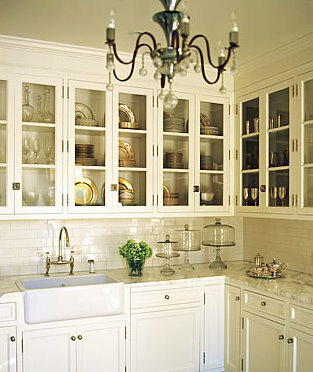 I also love the creamy color of the cabinets in this kitchen. Another light and bright kitchen that is grounded with the dark wood flooring and dark countertops. I love the contrast!! Love the size of this kitchen, too! It's huge!! 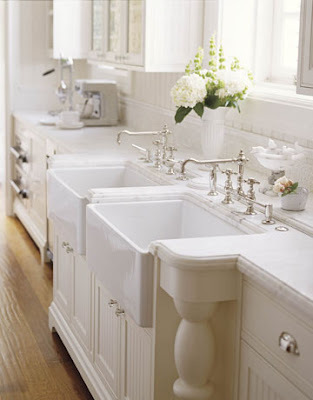 Here's a great idea - 2 sinks. Why not!? Thought this was a cute idea. I like how the island is exactly opposite the rest of the kitchen. 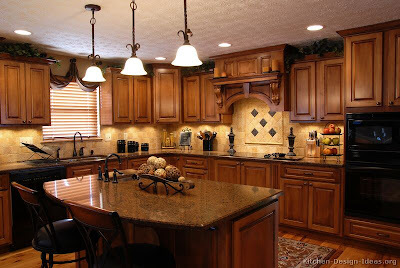 Dark cabinets and light countertop, vs dark countertops and light cabinets everywhere else. 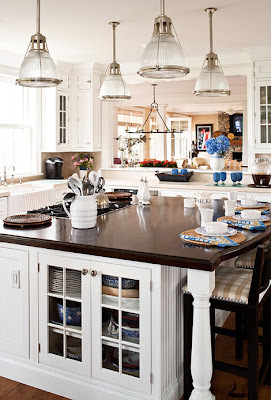 I love all the pretty open cabinets in this kitchen! It only seems like it would work if you had a ton of them so you have the space to set everything up so it looks pretty. 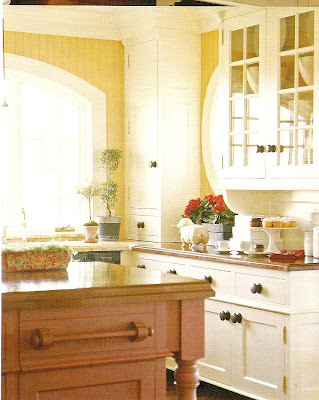 :) Love the three cakestands sitting on the counter as well - they're a really cute and functional decoration! I love the color of the cabinets in this kitchen! It's a great size, with a lot of great features. 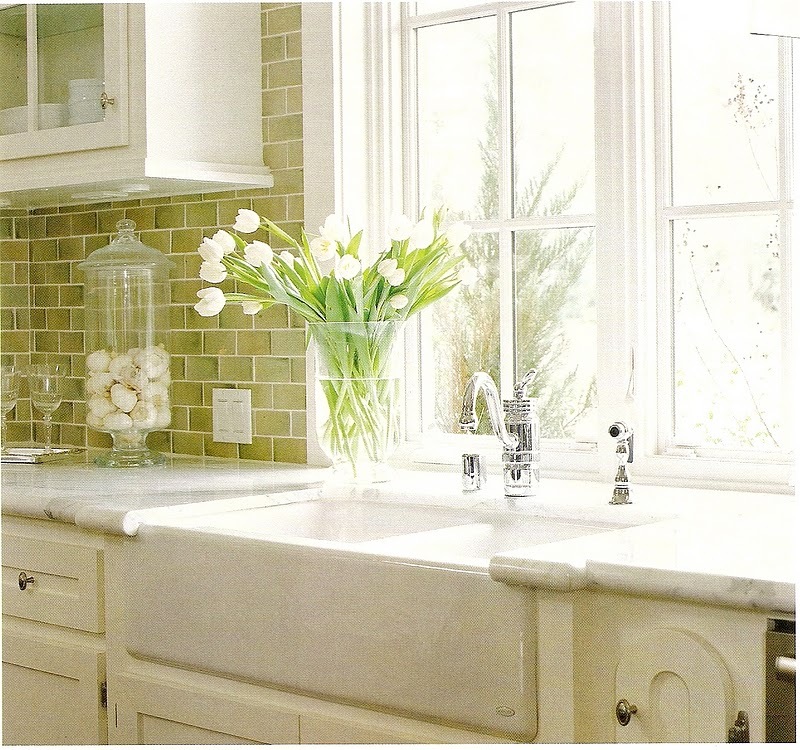 I love the pretty window cabinets next to the fridge!! I love the idea of using an apothecary jar to hold garlic cloves. 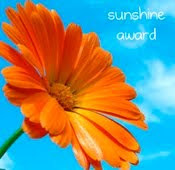 Cute and functional - the pefect kitchen decoration! 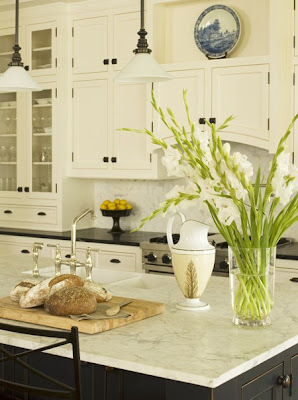 I also love the idea of putting vases full of flowers next to the kitchen sink. I gotta start doing that - it makes the sink feel so much more inviting. This is another one of my very favorite kitchens. I love the tuscan feel of this one with the tile backsplash and deep wood tones. It just seems very rich and warm. 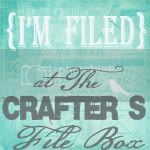 I just discovered your blog while looking for kitchen ideas! Would you mind if I copied your picture of the kitchen with the brick oven, to post on my blog?